Many Concordia students, past and present, have found rewarding service opportunities and a caring community at Christ Church. Whether you’re musically-inclined, enjoy kids or youth, or thrive with helping people feel welcome and cared for, there is an opportunity that’s just right for you! Best of all, hours and frequency are totally flexible, so you can still focus on your school work, extra-curricular activities, and visits home. 8:00 Traditions Worship offers special musical features from vocalists, instrumentalists, handbells, and the occasional chorale. 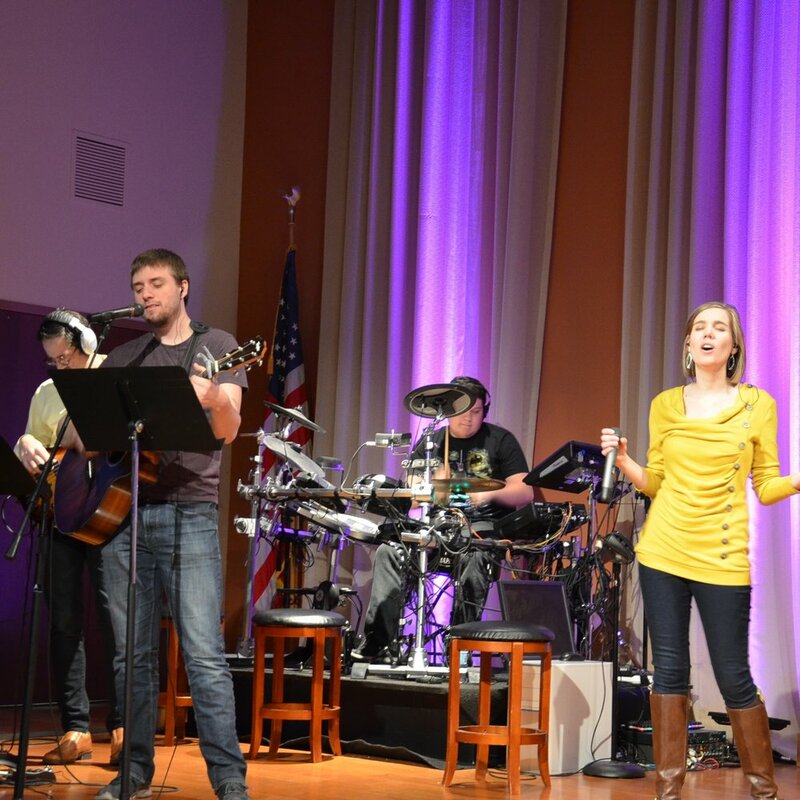 9:15 and 10:45 Contemporary Worship is led by our praise band, Called By Name. 9:15 The Upper Room Worship offers an intimate acoustic-style experience. In addition to our amazing Sunday morning Adventure Camp for birth-5th graders, we offer childcare for ages three and under during special services. Our Impact Youth Group meets on Sunday evenings during the school year and is for middle and high school students. At Christ Church, we’re known for our welcoming and friendly first impression. Whether you like to greet people, serve communion, usher, give tours, help direct newcomers, or serve coffee and snacks, there’s a fun team waiting to welcome you. If you’ve got a great smile, use it for Jesus!